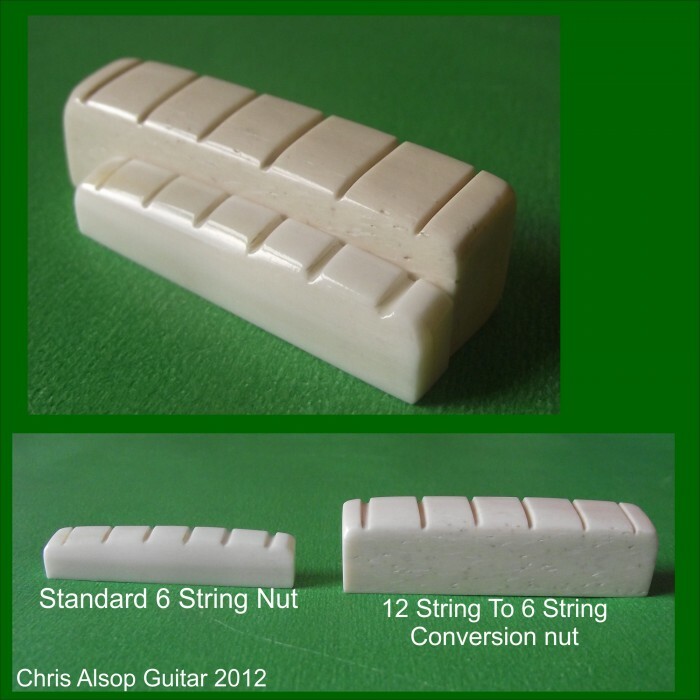 One application of this type of nut is for 12 String to 6 String Guitar Conversion often when you require a larger width fretboard. 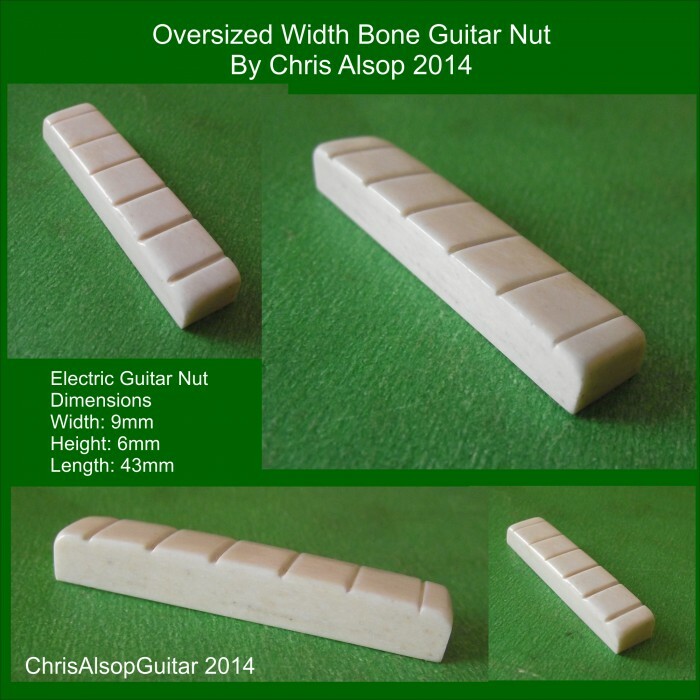 Please Note : This is for the sale of ONE extra large bone guitar nut. The smaller nut in the photos is shown for comparision purposes only. We do a quick turn around usually a few days maximum from an agreed specification. 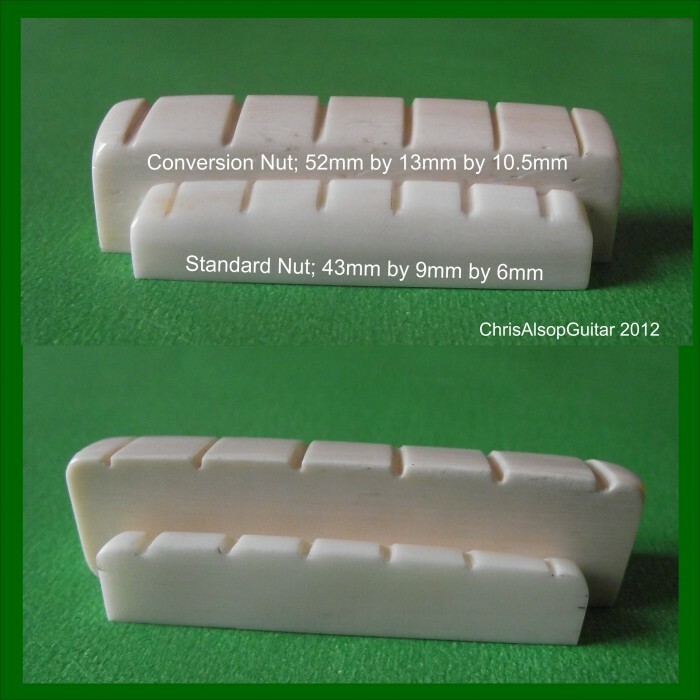 Bone Slotted Nut for 6 string Acoustic Guitar including Tailoring Material This nut is made from.. 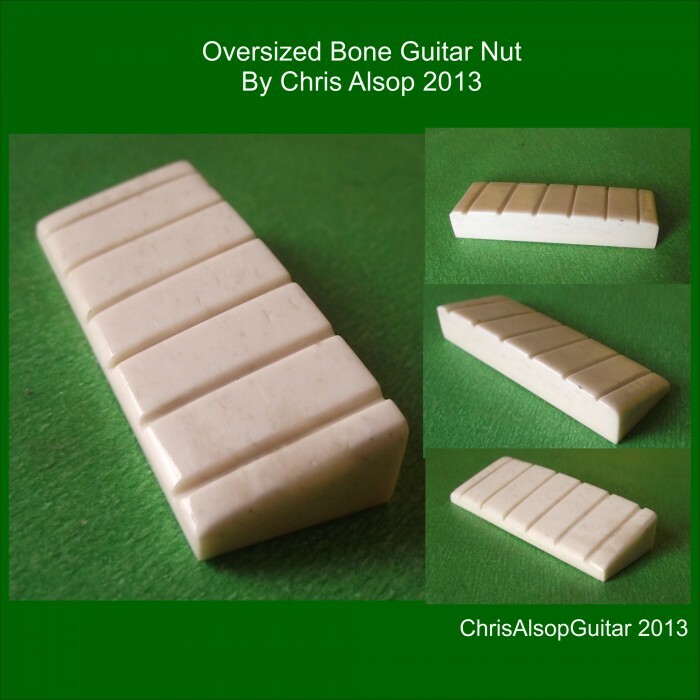 Bone Slotted Nut for 5 string Acoustic Guitar including Tailoring Material This nut is made..